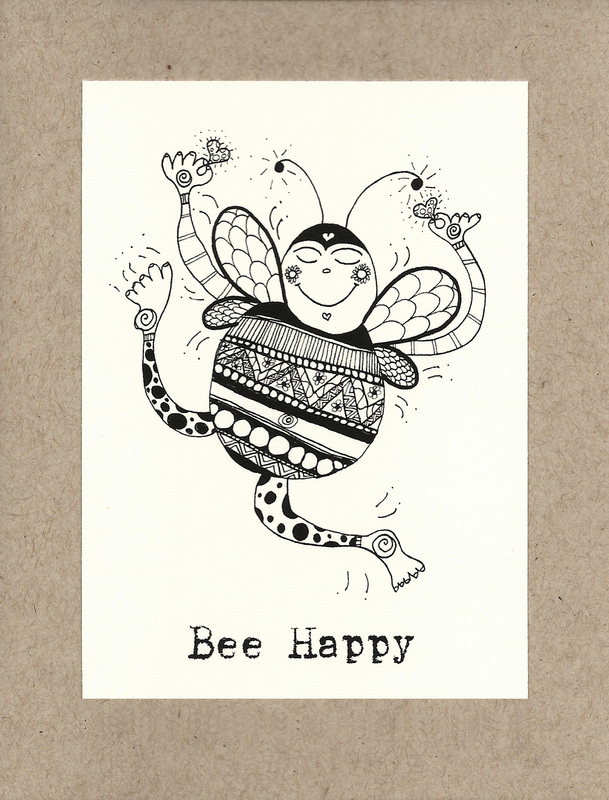 Bee Spirits greeting cards are created from original India ink drawings, printed and mounted on recycled papers. 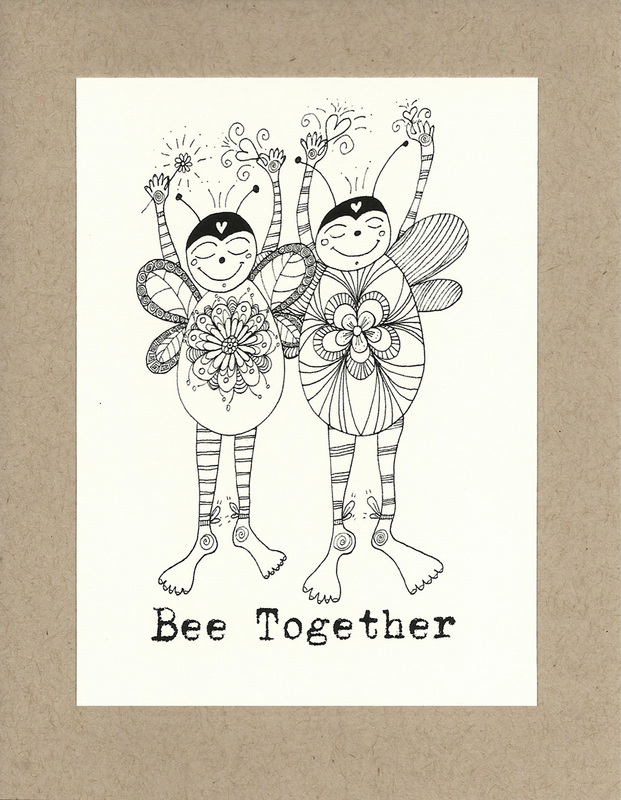 The cards are 4.25" x 5.5". 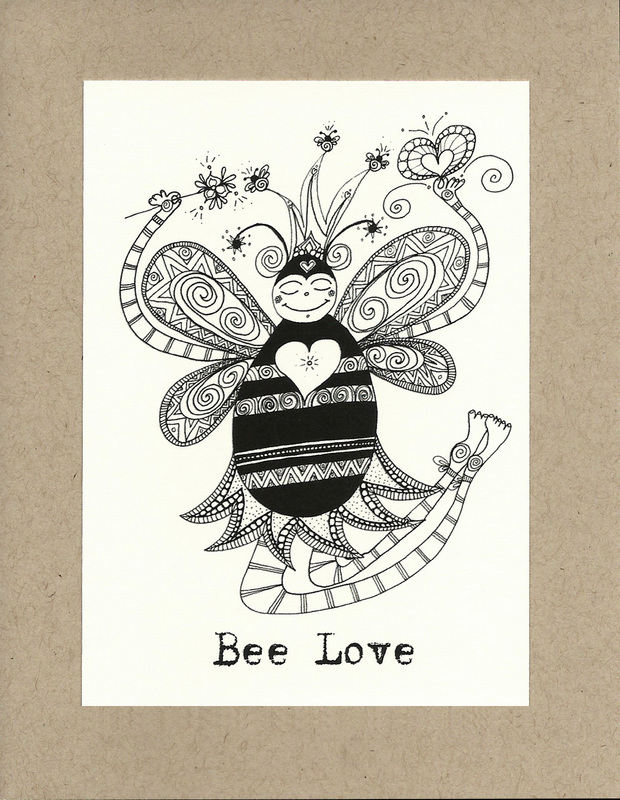 All cards are blank inside and ready for your heartfelt bee-lines. 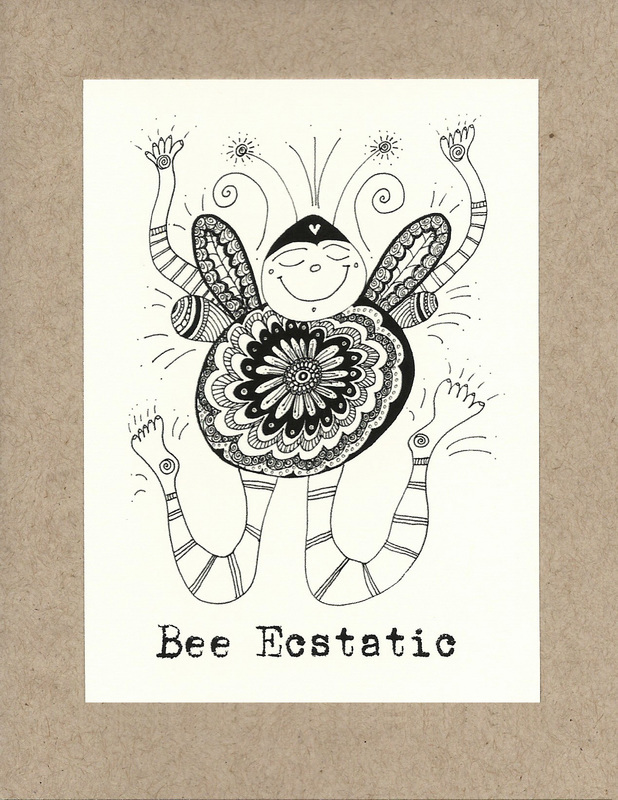 Every bee card is packaged in a clear re-sealable card sleeve, complete with a crisp, natural white, recycled envelope, and a card back insert. 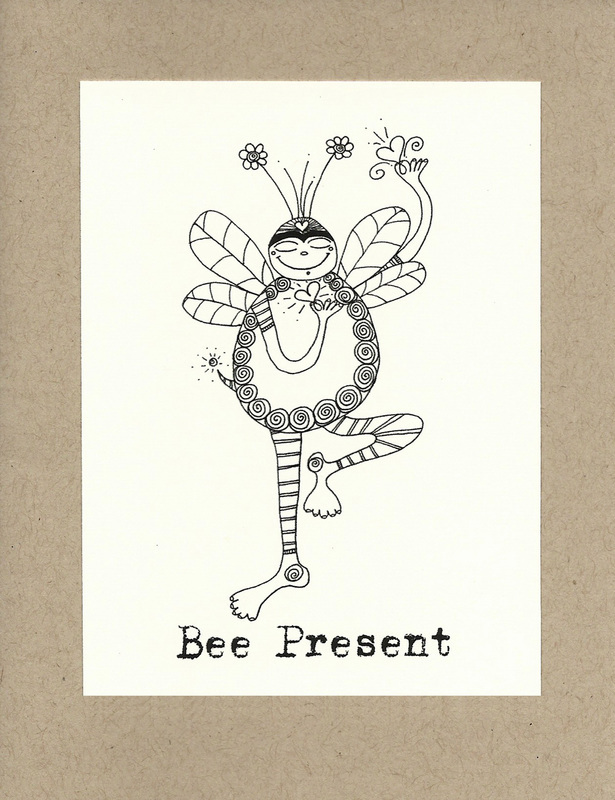 A portion of each sale is donated to a non-profit in support of the bees and other pollinators. 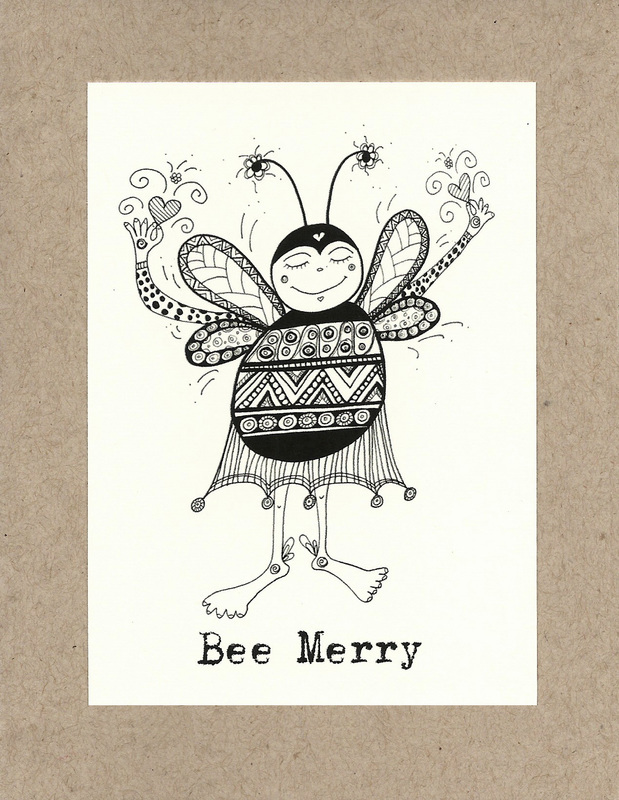 All bees arrive at their new hive-homes buzzing with whimsy and love!